WASHINGTON — Facebook said Thursday it would expand its efforts to scan photos and videos uploaded to the social network for evidence that they’ve been manipulated, as lawmakers sound new alarms that foreign adversaries might try to spread misinformation through fake visual content. In 17 countries, including the United States, Facebook said it has deployed its powerful algorithms to ‘‘identify potentially false’’ images and videos, then send those flagged posts to outside fact-checkers for further review. Facebook said it’s trying to stamp out content that has been doctored, taken out of context, or paired with misleading text. In one of the examples Facebook shared, fact-checkers in Mexico previously identified a ‘‘false photo’’ of a local politician whose face had been Photoshopped onto a US green card, wrongly suggesting he is a US citizen. In another, a news outlet in India debunked a photo that included a caption calling the country’s prime minister the ‘‘7th most corrupted’’ in the world — a fact attributed to ‘‘BBC News Hub,’’ which is not part of the BBC. Facebook’s announcement is part of a series of changes designed to stop the spread of misinformation on its site two years after the 2016 election, when Russian agents created and shared divisive political messages — including photos — that reached more than 100 million US users. The company has hired more employees to review content, for example, while teaming up with researchers so they can study the role of social media in national elections. But photos and videos represent one of the toughest challenges facing Facebook and its tech peers, given that visual content leaves such lasting impressions on users. The site’s 2 billion active monthly users upload 350 million images every day, Facebook has said, and finding and combating manipulated images and videos is tougher than it is with plain text. Social media sites must also grapple with the rise of new disinformation techniques, such as ‘‘deepfakes’’ — videos that harness the power of machine learning and artificial intelligence to make a person appear to say or do something that never actually occurred. ‘‘We are deeply concerned that deep fake technology could soon be deployed by malicious foreign actors,’’ they wrote in a letter to Daniel Coats, the director of national intelligence. They urged the DNI to report ‘‘confirmed or suspected use’’ of deepfakes by foreign powers. 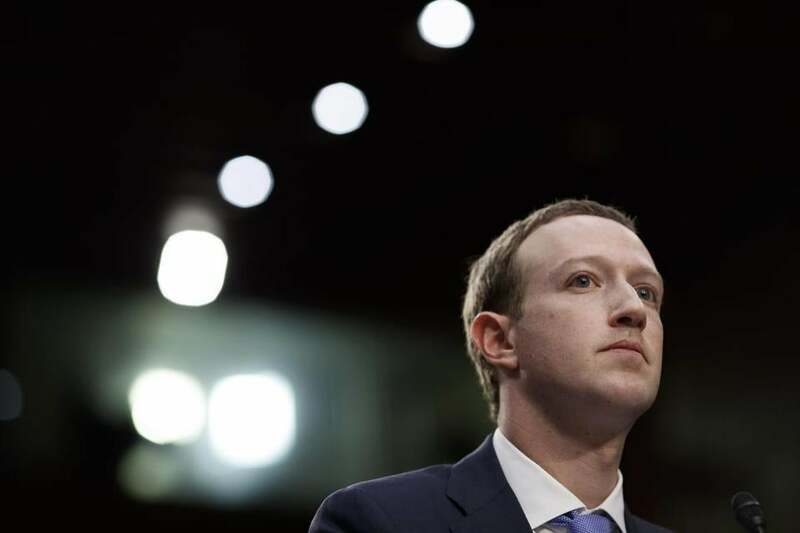 Facebook CEO Mark Zuckerberg told members of Congress in April that similar systems would be some of the most powerful ways the site could combat hate speech, fake news, discrimination, and propaganda across the world. ‘‘Building AI tools is going to be the scalable way to identify and root out most of this harmful content,’’ he said. The automated detection of deepfakes and similar computer-created forgeries has become something of a Holy Grail for many in Silicon Valley and beyond. The Defense Advanced Research Projects Agency, the military’s high-tech research arm, is currently leading programs designed to build forensic tools that can automatically spot clues among faked videos, including by assessing lighting or other inconsistencies.